Following a fifth hearing for legal arguments today at Kettering Magistrates Court, District Judge Chinnery ruled that the trial of Bobby and Moira Roberts is to proceed, but delayed until November. 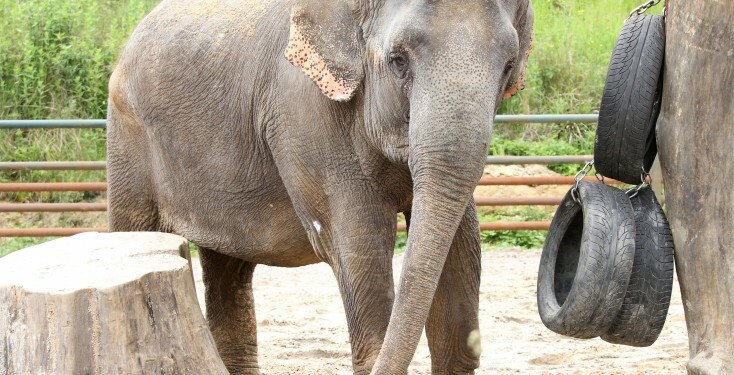 The charges relate to video recordings of beatings of Anne the elephant, taken by Animal Defenders International (ADI) investigators at the Bobby Roberts Super Circus winter quarters in Polebrook, in January and February 2011. 1. Causing the elephant to suffer unnecessarily, by requiring the elephant to be chained to the ground at all times, contrary to section 4(1) of the Animal Welfare Act 2006. 2. Failing to take reasonable steps to prevent their employee from causing unnecessary suffering to the elephant, by repeatedly beating it, contrary to section 4(2) of the same Act. Following a two-day hearing this week at Corby and Kettering Magistrates Courts, held under reporting restrictions, it was announced today that the case would proceed. The private prosecution was commenced by ADI on 18th July 2011 at Northampton Magistrates Court. In November, the CPS took over prosecuting the case. Donate now to help ADI campaign against the use of animals in circuses.